Back in 1979, researchers embarked on a landmark study investigating addiction recovery treatments. Many of their findings were surprising and optimistic. For example, as they observed therapeutic treatment centers they watched heroin use drop dramatically during the first 3 months, from 22 percent down to seven percent. They also found an encouraging correlation between duration of their treatment and then abstinence after treatment: stays of three months or more showed a 15 percent greater decrease in heroin use over shorter stays, and stays of one year or more showed an even greater decrease. Today, our nation faces a similar drug epidemic as we did in the 70’s. Narcotic use, including opioids and opiates, are at a 20 year high. Many loving parents are concerned about what this means for their troubled sons. The numbers are startling. Heroin-related deaths jumped 39 percent from 2012 to 2013. Nearly 90 percent of the people who tried heroin for the first time in the past decade were white. And a growing number are middle-class or wealthy. Three out of four heroin addicts started out by using prescription drugs, according to a recent survey. Because of this sudden outbreak, more and more concerned parents are turning to in-patient care at facilities such as therapeutic boarding schools for help, because research has shown they work. Across the span of over three decades, dedicated researchers administered three major studies investigating the outcomes of drug treatment programs. They included therapeutic boarding schools as a subcategory of therapeutic communities. The studies are known as: DARP, Drug Abuse Reporting Program; TOPS, Treatment Outcome Prospective Study, and; DATOS, Drug Abuse Treatment Outcome Study. DARP came first and it laid the groundwork for the two more robust studies that would later follow. In DARP, researchers followed patients in the early 70’s, recording their behavior and successes at various facilities of different treatment styles. They saw positive results and witnessed patients overcome difficult addictions, even those involving narcotics. DARP was a pioneer study in its scope and observed success in therapeutic communities. TOPS came second and built upon the promising groundwork of DARP, applying a comparable method to a broader scope. This time, researchers set out to examine 11,000 patients admitted to over 40 facilities, including detox centers, rehab facilities, and therapeutic communities, from 1979 to 1981. Again, their investigation found success. After examining patients through personal interviews at various intervals both while receving treatment and for 5 years after treatment, they found their use of drugs had decreased. Even for narcotics, usage dropped 69 percent in just three months, from over 20 percent of the patients to less than 10 percent. Not to mention, self-reported criminal activity dropped almost 100 percent. More importantly, however, researchers found these positive results to be sustainable in the long term. During follow up after five years, one-third of all patients reported they had successfully abstained from their drug, and one-half reported as less depression indicators. Also, researchers found that patients who stayed in treatment longer, displayed better results over time, illustrating a positive relationship between duration of treatment and after treatment abstinence. In regards to narcotic use specifically, they found stays of three months and longer produced a 15 percent greater decrease in heroin usage in the follow-up period, when compared with stays of less than three months. And stays of one year or greater? They produced even better results. Finally, came DATOS, the largest and most comprehensive of the studies. Indeed, DATOS gathered enough data to keep researchers busy for the next two decades. Four major research centers – The National Development and Research Institutes, Texas Christian University, The University of California at Los Angeles, and The National Institute on Drug Abuse – coordinated their efforts to follow more than 10,000 patients across nearly 100 treatment facilities, over 5 years. Once more, their results proved positive, especially for therapeutic treatment centers. It also further validated DARP and TOPS results before it. The breadth of the study allowed them to gather substantial data on the outcomes among over 3,000 adolescents. Through personal interviews with the youth conducted both during and after treatment, researchers found drug use and other problematic behaviors decreased, and even some positive behaviors, like school attendance, increased. The results, though not perfect, were substantial and optimistic. 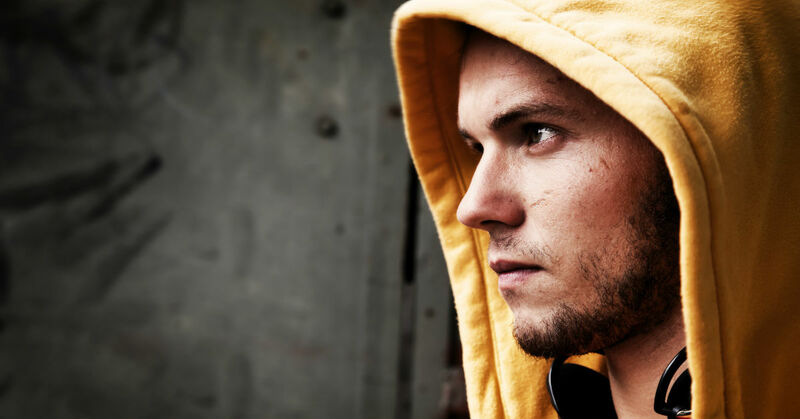 Adolescents often had many behavioral issues, including mental disorders, criminal activity, and regular drug usage. Marijuana decreased the largest amount, by nearly 50 percent. Heavy drinking decreased by over 40 percent. These results speak for themselves. Liahona Academy will help your struggling son overcome his narcotic addiction through love and support. We provide a unique blend of experiential therapy personalized for each boy, quality education from certified professionals, and wholesome recreational activities that help boys remember they are still boys. Our alumni say it best.